On December 1, 2016, I went to a gallery discussion at Alfred University’s new Ceramics Art Gallery. The discussion was called “Forum Follows Function: A Dialogue with Linda Siroka and Takeshi Yasuda”. The two speakers mentioned, as well as Alfred University’s Art History Club’s President, chose specific works of art from the gallery to discuss the form and function of them. During much of the discussion, Takeshi Yasuda, one of the speakers, said “Functionality is the responsibility of the user, not the maker.” I found this to be very interesting. It reminded me of the quote “Art is in the eye of the beholder.” This means that interpretation of an art piece is ultimately a matter of personal opinion and nothing more. Yasuda is saying that functionality can be interpreted the same way. A plate is a plate only because we say it’s a plate and serves the function of what we interpret as a plate. But a plate is not a plate by nature. To give a more specific example of this type of thinking, Yasuda talks about, in detail, tea culture in China when the Chinese were forced out of their homes. During this time, the Chinese left the complex tea sets behind in their homes when they were forced to leave. This made the sets more valuable and used only in times of celebration. This change in time period made the function of the piece more valuable. He goes on to explain that teapots may serve different functions throughout different regions. In America, we may only use teapots for serving tea. Whereas in Japan, teapots may be used for serving tea and also possibly as a flowerpot. There’s nothing saying that a teapot cannot be used as a flowerpot. Prior to the discussion, I walked around the gallery and took interest in several sculptures. One in particular stood out above the rest. Glidden Pottery’s Afrikans truly caught my attention. This is a prime example of a symbol of functionality. Over the last several years, the ashtray lost its function because smoking has lost its favor over time. It is also not the size or form of a traditional ashtray. But it was used as an ashtray all the same. Ultimately, I have come to appreciate the idea that functionality is relative. Similarly, one object can function many different ways. Much like functionality is the responsibility of the user, art, like beauty, is in the eye of the beholder. Functionality is not absolute. Objects only function the way the user wants them to function. Even if that function is to serve as a symbol. 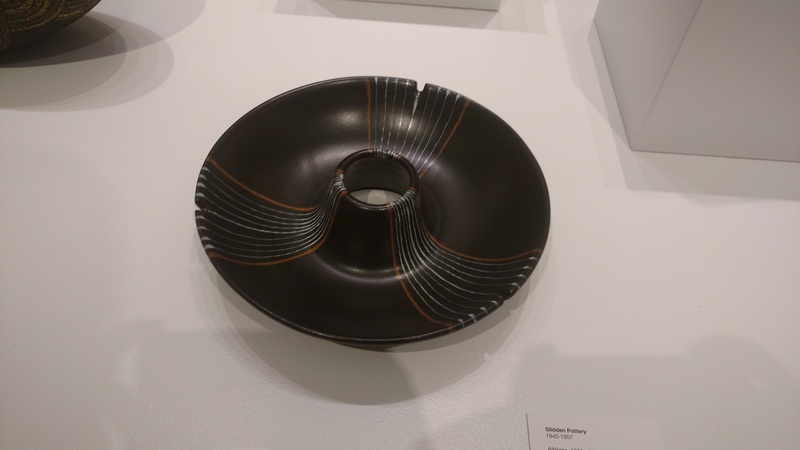 This entry was posted in Uncategorized and tagged Alfred Ceramics Art Gallery, Forum Follows Function, Interactive Authoring, Linda Siroka, Takeshi Yasuda. Bookmark the permalink.